Looking west along the expansive Victory Square. 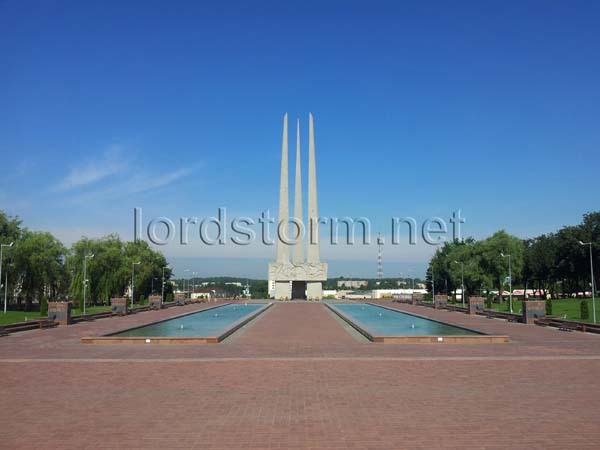 This end is dominated by the Liberation monument, built in 1974 and reminiscent of three bayonet blades, with the Tomb of the Unknown Soldier underneath. The river Dzvina flows along behind it.